A cozy cottage, built using recycled Rimu, set among native bush, huge limestone outcrops with a partial coastal vista out to sea. The cottage features a outside bath tub on the veranda, along with a stone floored shower inside. The cottage is perfectly placed to walk on foot to the Pancake Rocks, and the Punakaiki loop track from the cottage door. We are minutes away on foot to the Punakaiki river mouth and beach. We also offer horse riding at our stable next door. Self check in details sent with confirmation of booking. 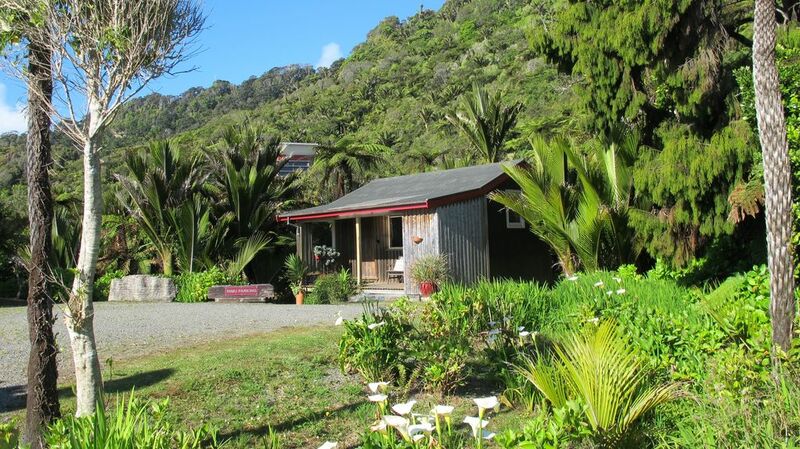 We have lived in Punakaiki since 1993 and built our accommodation and horse trekking business up over this time. We have 6 accommodation options ranging from studio cottages to a large 3 bedroom beach house. We also run a great team of horses we work with and offer treks into the Punakaiki valley within the Paparoa National Park, with the ride finishing along the beach. We are 600m from the Pancake Rocks and located near the start of the half day loop Punakaiki to Pororari track. Paparoa National Park at your doorstep! Wood paneled cozy cottage with an outside bathtub. Internal Flagstone shower with outside bathtub on veranda. We are about 300 n from the beach and river mouth. Partial Sea view through the bush. Loved staying here, well equipped and beautifully put together wooden cabin. surrounded by the Paparoa National Park, the property features huge limestone outcrops and each cottages nestled among native bush - we are 300m from the beach and river mouth. 600m from the Pancake Rocks and Information Centre. Horseback riding available from Oct to May - stables located across the road on beachfront.